The most complex social challenges - such as post-secondary access and success for under-represented students, diversification of the workforce, poverty, environmental degradation, and global health - exceed the problem-solving capacity of single organizations or societal sectors. Organizing for Social Partnership provides colleges and universities, corporations, government agencies, nonprofits, and other organizations with a model for how to effectively address these and other pressing social issues through strong, effective collaboration. This valuable book is relevant for graduate students enrolled in courses on postsecondary organization and governance, equity and diversity, access, administration, and contemporary issues. 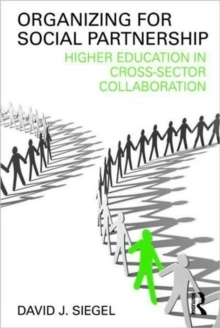 Organizing for Social Partnership will also spark dialogue among higher education leaders and their counterparts in business, government, and the social sector.